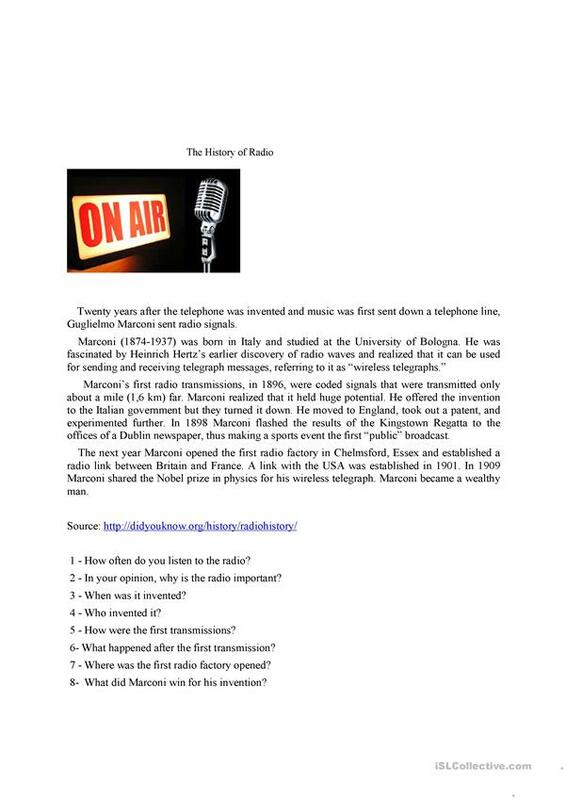 Text about the history of radio. Good to practice with pre-intermediate and intermediate students, since there are many verbs in the past tense. 8 questions to work with, with answers and student's opinion. Solution is included. The above printable, downloadable handout is recommended for high school students and adults at Pre-intermediate (A2), Intermediate (B1) and Upper-intermediate (B2) level. It is aimed at teaching in English, and was designed for honing your learners' Speaking, Reading and Writing skills. It is about the vocabulary topic of Actions. The key is provided, too.